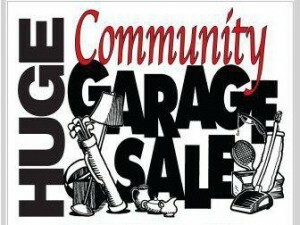 Lexington Chamber Community Wide Garage Sale on Saturday, April 6, 2019. If you would like to purchase a vendor space on the Square downtown or would like to have your individual sale listed on our map, please print, complete and submit your application to the Chamber Office. The Homecoming Planning Committee is currently planning all the scheduled activities for this year's event. Anyone interested in helping to plan, provide input or volunteer, please contact the Chamber office. Registration forms for Food/Craft Booths and the BBQ Cook-off will be available under the Homecoming Info web page. Planning and coordination of the annual event takes a ton of work for the short four-days and it is always a challenge to please everyone with the logistics involved in holding the majority of the festivities in the downtown square area. If you have any feedback concerning this year's event or suggestions for next year, please feel free to contact the Chamber office at 979-773-4337 or email chamberlexington@gmail.com. With a population of 1178, Lexington is located in Lee county, and is a 45-minute drive from Austin. Many residents of Lexington commute to Austin. There are over 20 local and community churches in northern Lee county. Lexington has 41 businesses located in the trade area, two financial institutions, and an active Chamber of Commerce. There are five volunteer fire departments located in and near Lexington. Lexington also has an active EMS unit and 911 service, and a rural health clinic.